Second win of 2012 for the Porsche team Felbermayr-Proton: Christian Ried, Gianluca Roda and Paolo Ruberti won the GTE Am class in the 911 GT3 RSR at round six on the Bahrain International Circuit in Sakhir (29 September). In the GTE Pro class, Porsche works drivers Marc Lieb and Richard Lietz scored third in the sister Felbermayr-Proton Porsche, repeating their result from race five in Sao Paulo. After scoring a third and a fifth place in Monza (29/30 September), seven points now separate factory pilot Marco Holzer and his teammate at Manthey-Racing, Nick Tandy, from the leading Ferrari team. The title will be decided at the finale in Barcelona (2/4 November). Raymond Narac and factory driver Patrick Pilet celebrated their first victory of this season with the 911 GT3 RSR fielded IMSA Performance Matmut. Following his successful comeback on the race track, Timo Bernhard is also back to contest the German Rally Championship. 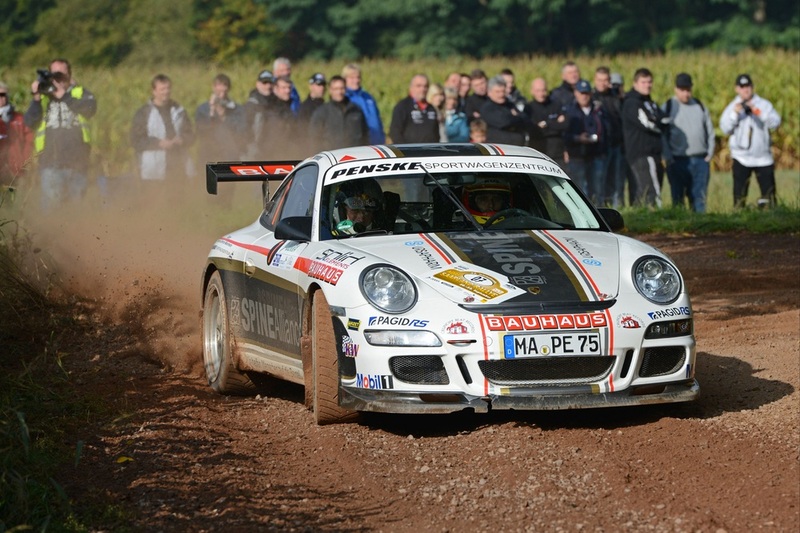 At the Saarland Rally (21/22 September) he clinched six best times with his co-driver Klaus Wicha in the private 911 GT3 Cup. Tyre damage prevented him from yielding a better result than sixth place. In late September, Porsche Motorsport North America and Brumos Porsche delivered five very special race cars to customers. The “Porsche 911 GT3 Cup Commemorative Edition” is a replica of the vehicle with which Brumos won the team, driver and manufacturer titles in the 2011 Grand-AM GT. For the Grand-Am, the Cup-911 features most notably a four-liter engine and an automatic throttle-blip function. The handover of the five Porsche flying the distinct blue, red and white colors of Brumos took place at the team race shop in Jacksonville, Florida. With a lights-to-flag victory at the penultimate race of the year (29 September) on the Hockenheimring, Swen Dolenc clinched the amateur championship in the Porsche 911 GT3 R of Fach Auto Tech. Christian Engelhart had to bury his hopes of an overall victory after receiving a time penalty at the last race (30 September). He concluded the year as the vice-champion in the 911 GT3 R run by Geyer & Weinig – Schütz Motorsport. After the tenth and final race in Donington Park (30 September), Michael Caine and Daniele Perfetti are the new champions. In the 911 GT3 R fielded by Motorbase, Caine managed to salvage fourth place, despite being hit by competitors, and continued with damaged steering. At the beginning of the season, the Motorbase squad switched from the Carrera Cup Great Britain to contest the GT Championship. Vice championship honors went to David Ashburn, who had won the series in 2010 at the wheel of a Trackspeed Porsche. Henry Hassid and Anthony Beltoise are still on course for the title in the 911 GT3 R of Pro GT by Almeras after the penultimate race weekend (29/30 September) on the permanent Bugatti track in Le Mans with a second and a fourth place at the one hour races. Heading to the final round on 27/28 October in Paul Ricard, the Almeras pilots lead the championship pursued by a Ferrari and a McLaren team. Victory number two handed Masami Kageyama and Tomonobu Fujii the points’ lead at race six of eight in the Japanese Super GT Championship on the Fuji Speedway (9 September). Taking off from second on the grid, the pair won the 300 kilometre race in the 911 GT3 R of Hankook Racing. 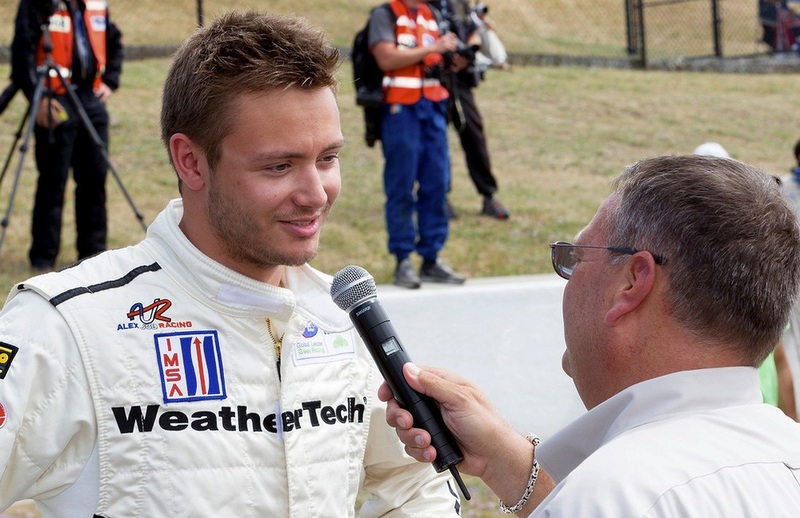 Scoring his second win of the season, 20-year-old Cooper MacNeil secured the ALMS GTC Championship title in the 911 GT3 Cup run by Alex Job Racing at the four hour race on the Virginia International Raceway (15 September). And youngsters are also dominating the IMSA GT3 Cup Challenge by Yokohama: 21-year-old Sean Johnston took home Platinum Cup honors after his debut racing season in the 911 run by Wright Motorsports prior to the season finale (18/20 October). 23-year-old Angel Benitez Jnr. is the clear winner of the Gold Cup for Ansa Motorsports. At the traditional Stuttgart Cannstatter Wasen funfair, the Porsche juniors Klaus Bachler and Michael Christensen swapped their fire resistant overalls for geniune lederhosen. With their coach Sascha Maassen, the head of the junior programme Jonas Krauss and Carrera Cup manager Andrea Hagenbach they spent the evening among journalists. At the invitation of the ALMS, the European Le Mans Series contests its final round at the “Petit Le Mans” in Atlanta/Georgia (18/20 October). Anthony Pons, Nicolas Armindo and Raymond Narac compete with a 911 GT3 RSR run by IMSA Performance Matmut. Guest driver Craig Baird wins the ninth round of the SC Global Carrera Cup Asia as support to the Formula 1 race in Singapore (21/23 September). After clinching a first and a second place each at the Carrera Cup Deutschland races in Oschersleben (15/16 September), the title decision is now down to points’ leader René Rast and his teammate Sean Edwards at the finale in Hockenheim (19/21 October). With his victory at both rounds in Navarra (8/9 September), Jean Karl Vernay shunts his rival Come Ledogar off the top of the points’ table of the Matmut Carrera Cup France. Christophe Lapierre wins the B-category heading to the final round in Le Castellet (27/28 October). Front-runner Craig Baird wins all three races of the Carrera Cup Australia in Bathurst (7/8 October) and extends his lead over closest rival Alex Davison. With a win at the 18th race of the Carrera Cup Great Britain in Silverstone (7 October), Michael Meadows secures the championship title with two races left on the calendar. Ahmad Al Harthy wins the Pro-Am 1 title. On Friday before the race, the Carrera Cup Great Britain celebrates its tenth anniversary. 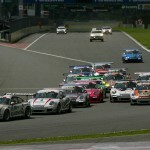 In the Italian Carrera Cup, Edoardo Piscopo and Enrico Fulgenzi win in Mugello (22/23 September). Points’ leader Vito Postiglione retires. Monza hosts the title decider on 20/21 October. 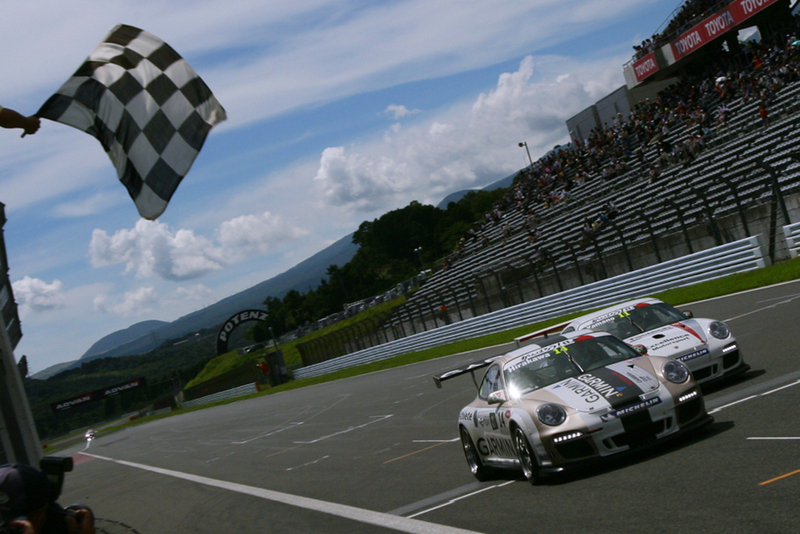 Fifth straight win for Ryo Hirakawa at race eight of the Carrera Cup Japan on the Fuji Speedway (8 Sept.). Clinching his fifth win of the season, René Rast secures the title in the Porsche Mobil 1 Supercup (9 September) for the third time.